Until a few years ago, I’d never heard of ‘ghosting’. Now I hear stories all the time of people who, instead of ending a relationship properly, just ‘go dark’. Without warning, they cut off all communication, ignore calls and texts, and may even put a block on social media. Finally, it dawns on the victim that they’ve been dumped – no explanation, no closure. It can be very painful, leading to feelings of confusion, anger, grief and self-doubt. Ghosting is also common in online chat. Of course, this doesn’t cause the same amount of pain as when someone does a cut-and-run from a relationship, but it’s still pretty unpleasant if you’ve been chatting with someone for a while, you feel a growing affinity with them, and then the signal goes dead. You may find yourself going back over correspondence, trying to work out what you said wrong (I once emailed a guy to apologise, convinced I must have said something that upset or offended him… turns out, I hadn’t). If your self-esteem isn’t great, it can feel like yet more proof that you’re worthless as a potential partner. However, if you’ve been ghosted: take heart. It’s much more about them than about you. People rarely ghost as a comment on the other person or to be deliberately cruel. In fact, it’s an act of cowardice. Telling someone you want to end a relationship, or don’t wish to continue chatting, takes a certain amount of bravery and strength of character. It’s not easy to witness someone’s hurt feelings and know you’re the cause of their disappointment. Some try to claim it’s the kindest option, but the truth is that people don’t like to feel guilty. They don’t want to have to give an explanation so they take the easy way out. Even though it causes more pain for the other person, at least they don’t have to witness it. Yes, it’s woefully rude and inconsiderate – but if someone ghosts you, they’ve given you a very valuable piece of information about themselves. Relationship experts all agree that for a marriage to thrive, both partners must be able to deal with emotional issues openly and honestly, even when it’s uncomfortable. Sweeping problems under the rug is fatal for relationships – and ghosting is the ultimate in rug-sweeping! So be grateful you’ve been saved from a relationship with someone who is ill-equipped for long-term love. Now, to those tempted to ghost someone: I get it. I’m naturally conflict-avoidant, I hate confrontation, and I understand the urge to run away rather than tell someone a difficult truth to their face. But we’re followers of Christ so we must strive to treat each other better. 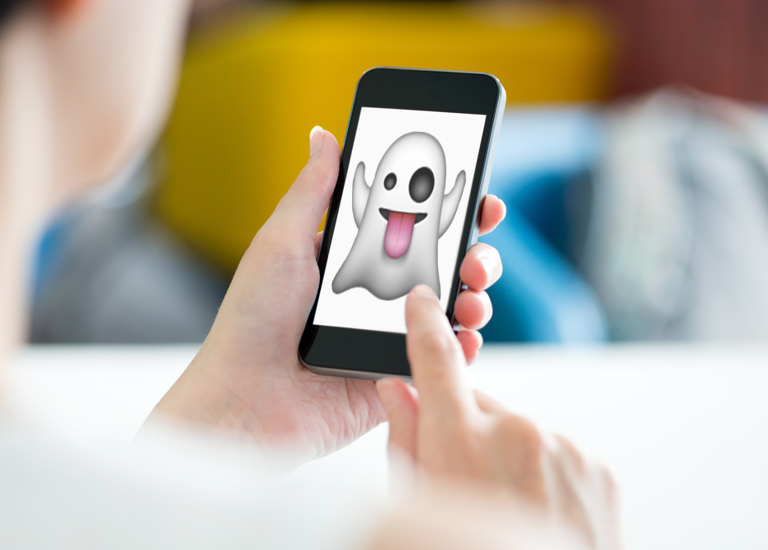 Ghosting someone might make it easier for you – but it simply passes the pain onto the victim. A study published in the Journal Of Research In Personality found it was one of the worst ways to end a relationship, leading to the most anger, hurt and rejection. Learning to deal with endings in a mature way will also benefit you. If you encounter problems in a future relationship, you won’t be able to deal with them if all you know is how to run away. Repeatedly ghosting people will also desensitise you to other people’s feelings. Learning to face difficult issues head on will enable you to have a healthy marriage in future. There’s one exception to all this. One of my Facebook followers told me about a guy who bombarded her with demands, and got bitter and angry when she didn’t respond exactly as he wished. She’d didn’t want to continue feeding his alarming behaviour, so she simply blocked him – and she was right to do so. If someone makes you feel threatened or behaves inappropriately, don’t let politeness get in the way of protecting yourself. Shut down communication and get your ghost on – if anyone objects, tell ’em HopefulGirl said it was okay!